SQL (Structured Query Language) is a must if you want to be a Data Analyst or a Data Scientist. I have worked with many online businesses in the last few years, from 5-person startups up to multinational companies with 5000+ employees and I haven’t seen a single company that didn’t use SQL for Data Analysis (and for many more things) in some way. SQL is simple and easy to understand. Thus not just engineers, developers or data analysts/scientists can use it, but anyone who is willing to invest a few days into learning and practicing it. I have created this SQL series to be the most practical and most hands-on SQL tutorial for aspiring Data Analysts and Data Scientists. It will start from the very beginning, so if you have never touched coding/programming/querying, that won’t be an issue! SQL for data analysis? What is SQL? And why is it good? What is SQL? SQL stands for “Structured Query Language” and it is used to communicate with relational databases. As you can see, SQL and Excel are quite similar. Both of them present data in a 2-dimensional table format with rows and columns. Both are very structured, very transparent. At first this can feel like a hassle. But believe me, once you’ve understood the basics of SQL, you will find it clearer and more efficient than Excel. Here are just two advantages: joining tables is much easier in SQL than it is in Excel, and automating and reusing your code will become more convenient with SQL too. When you use SQL for data analysis, you will use it (most probably) for simple tasks: aggregating data, joining datasets, using simple statistical and mathematical methods. But you will be able to do these more efficiently and on much larger data sets than before. What about Python, R and bash? If you have done my previous bash or Python tutorials, you might ask: is SQL better or worse than Python, R or bash? The answer is… well, there is no categorical answer for this question! b) it’s a bit more advanced anyway. c) at this level, you don’t have to worry about performance at all – and when you will, most probably a senior data scientist or a data engineer will help you out. Note: Some big data frameworks (eg. Spark, Hive, etc.) also support SQL! But now, let’s jump on the practical part! 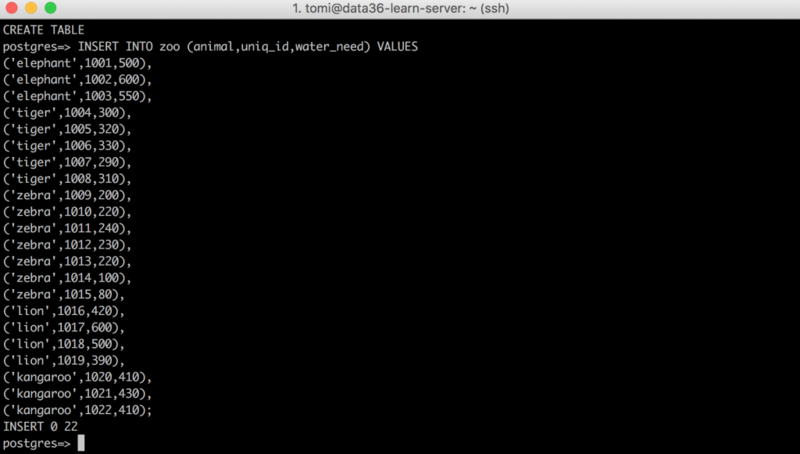 STEP 0 – Install your own SQL environment to practice! Note: if you have your own SQL environment already, you can skip further to STEP 2 – Get some data! First, please go through this article. 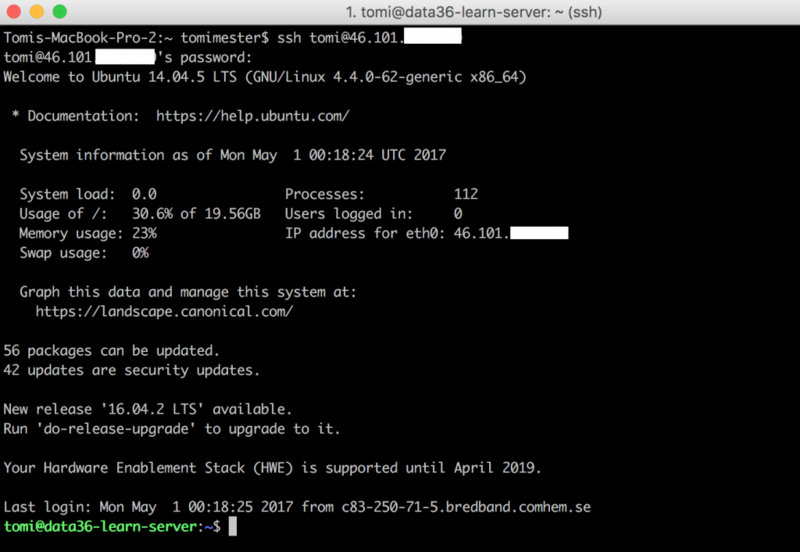 It’s a step by step tutorial about how to set up your own Data Server and install bash, Python, R and SQL on it. Note: in my “SQL for Data Analysis” articles I’ll use postgreSQL! There are other types of SQL languages (another well-known open source one is mySQL). The good news is that all SQL languages are very similar – if you learn postgreSQL, it will be a matter of hours (or even minutes) to adapt to another one. I picked postgreSQL because it’s very popular (lots of the online businesses are using it) and it’s said to be the most advanced open source SQL language. 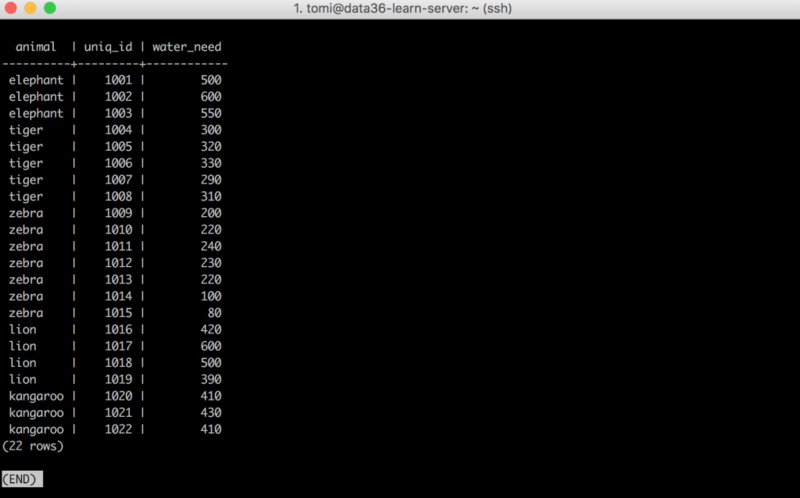 A data server with Terminal (or iTerm) access. PostgreSQL installed on your data server. Pgadmin4 (or SQL Workbench) on your computer. If something is missing, please read the article again: Install bash, Python, R and SQL! Note: As an SQL query tool I prefer SQL Workbench over pgadmin4, but this is kind of question of taste. In my SQL for data analysis tutorials I’ll use SQL Workbench (here’s a tutorial about how to install it on your computer), but feel free to use pgadmin4. It won’t make any difference! 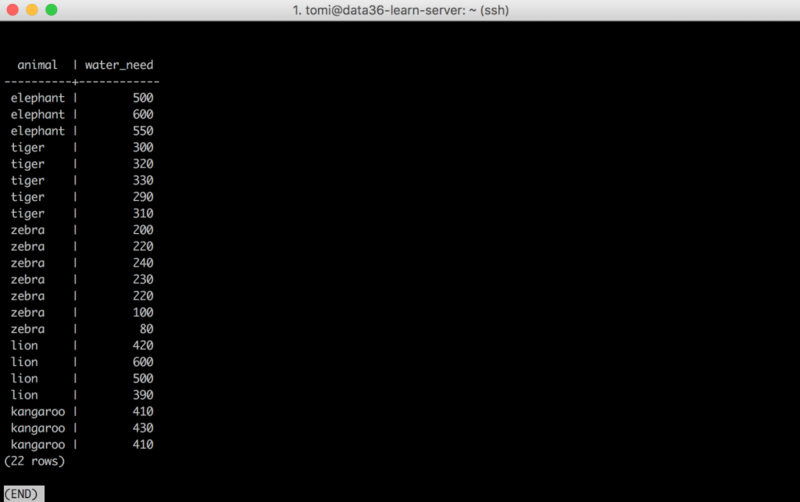 STEP 1 – Login to your SQL database via the command line! Once I’m logged into the server, I want to access my postgreSQL database. As I have already given access to my user, I just have to type this command. postgres=> And done! You have full access to your SQL database! It will list all your data tables. You have only one so far… But this will change soon! Again! If something is missing or not working, please re-read this article: Install bash, Python, R and SQL! Note: you will see sometimes that an SQL databases are referred as “relational databases”. For our purpose “relational database” and “SQL database” will be pretty much the same. STEP 2 – Get some data! 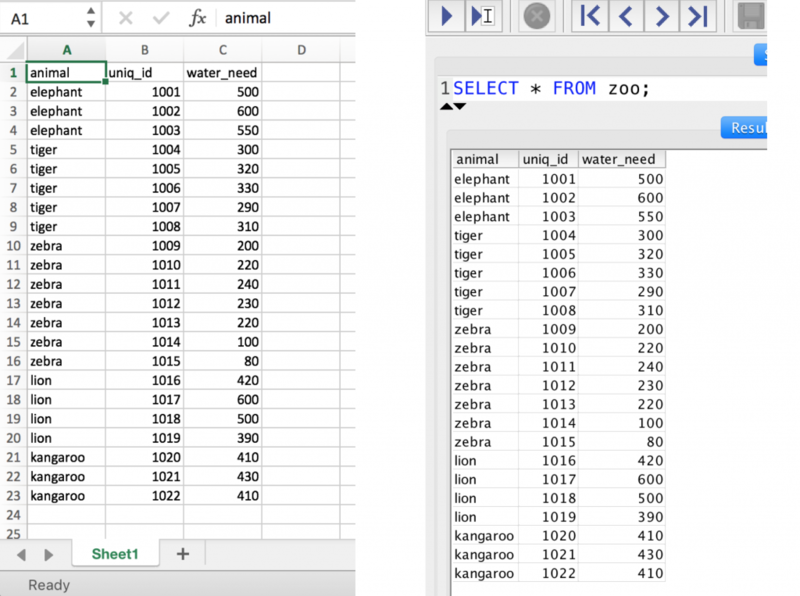 In this tutorial, we will use a really small data set, called zoo. You can download it from here in raw .tsv format and you can just play around with it in Excel. Or in bash/command line, if you have already done bash tutorials. Weee! We have our new data table: zoo! You will use SELECT every time you want to read, filter, transform, aggregate or do anything with your data. 90% of the things I’ll show you in these tutorials will be modifications of this single query. 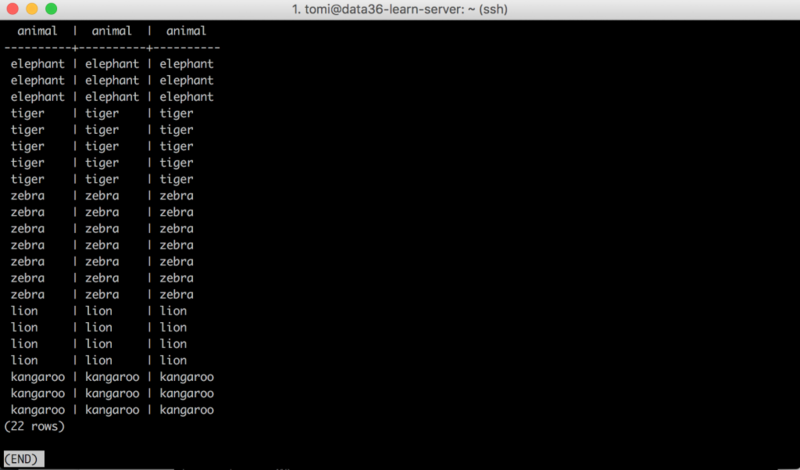 For a start, let’s SELECT everything from our zoo data table. SELECT is the main statement, and it tells SQL that we want to read something from our data table. * usually refers to “everything” – in this case it means that we would like to select every column. FROM tells SQLthat we are going to specify the table from which we want to retrieve data. zoo is the name of the table. You can replace this with any other table name, if you have more tables. ; this is an SQL specific syntax. Every query should be closed by a semicolon. If you accidentally miss it, SQL will expect you to continue your query and won’t return anything on your screen. You will use this syntax a lot from now on. Exactly what you have expected: you got the columns “animal” and “water_need” on your screen, but not the “uniq_id” anymore. This way you can SELECT any columns. You just have to specify the name of the columns separated with commas. Of course you can decide how many lines you want to print and specify that right after LIMIT! animal = 'elephant' –» animal is the name of the column where you are looking for the given value. And elephant is the value itself. In SQL you have to add the column where you are looking for your value. ; –» Never forget the semicolon! In the very next episode of the SQL for Data Analysis series I’ll go into details on how to get the most out of WHERE! For now it’s enough that you know it’s a filter to retrieve rows containing specific values. Select the first 3 zebras from the zoo table! The solution will be more or less the summary of this article! All your queries should end with a semicolon (;). If you accidentally miss it, SQL will expect you to continue your query and won’t return anything on your screen. Eg. SQL is not case-sensitive when it comes to the SQL keywords (SELECT, WHERE, LIMIT, etc…). Eg. select * from zoo;The case-sensitivity of table names, column names and values are the question of your settings. In our current setup (with postgreSQL) the table names and column names are NOT case sensitive, but the field values are. Eg. Note that conventionally most people use SQL Keywords as caps (SELECT, WHERE, LIMIT, etc…). It helps a lot with reading your code. Quite a nice first step to learn and use SQL for data analysis! Congrats! Now you can write your first very basic queries… but this is just the beginning! Let’s continue with the next episode and learn how you can use the WHERE clause to filter stuff from your data sets as a pro. Great intro article. I’ve been looking forward to the SQL programming part of your series. 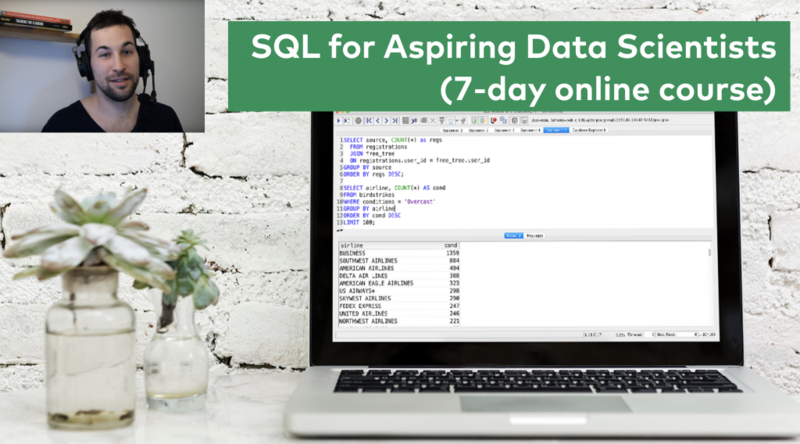 I only have very limited experience with SQLite and I’ve been meaning to get into something more robust, like postgreSQL – so this is perfect! I’m glad, you’ve liked it! Feel free to comment or ask questions here in regards SQL + Analytics! Thanks ! I am just a beginner at this. It was a great help. Thanks Appy, glad you liked it! I have a question about postgres vs sqlite. I am currently using sqlite to perform data analysis. I was wondering if there is a significant advantage to using postgres? I’m new to the space, but kind of wondering if postgres is overkill vs data analysis in sqlite, which seems a lot simpler to work with. I’ve used postgreSQL in my tutorials because 99% of the companies I know (or even worked with) are using postgreSQL, so as I see, that’s the most useful one to learn for beginner. Wow, another good course. Easy to follow and very helpful. It does not ask for all columns or specifc column, is it a better way to assume using SELECT * (or all columns)? Does not make much difference at small dataset but what would be the best practice? Enjoy the rest of the articles!